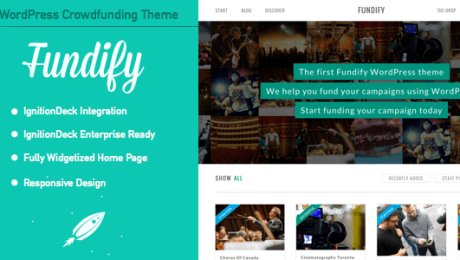 Fundify is an amazing crowd funding WordPress theme with free Easy Digital Downloads plugin to easily create your own crowd funding website with WordPress. If you want to build a crowd funding platform similar to the likes of Kickstarter or Indiegogo this is an awesome solution. Fundify is not just an amazing WordPress template for crowdfunding, it is a complete WordPress theme for business and blogging too! Fundify is coded with a responsive design which means it will look great no matter how you view the site. 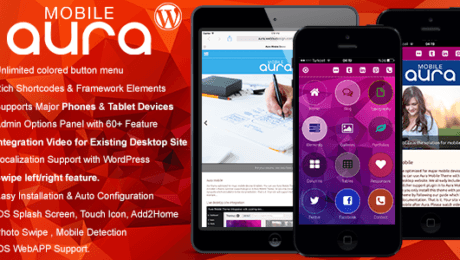 This makes your campaigns and your blog easily accessible to mobile devices, tablets, and desktops alike. Complete with responsive page templates for a contact page, full-width pages, archive pages, and more. 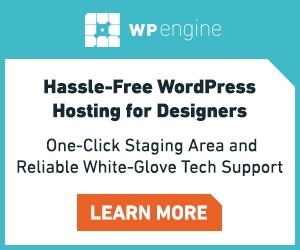 Fundify is up to date with support for the latest WordPress features including the WordPress theme customizer introduced in WordPress 3.4. 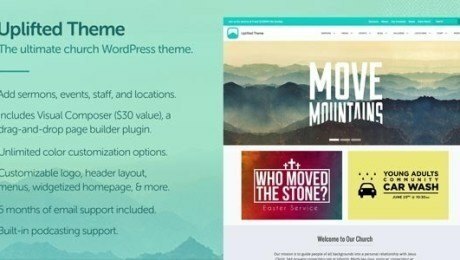 The theme customizer lets the site admin try out various theme options before applying them to the live site. Raising money has never been easier. Tell people what you are doing and inspire them to contribute to your campaign. Offer creative rewards and perks for your backers. You can publish your own campaigns or build a community where people can submit campaigns to your site. Submitted campaigns will be â€œpendingâ€ until approved by the site administrator. Fixed and Flexible Campaigns: A fixed campaign will only collect funds if you meet your target goal. For projects where any amount of money raised is helpful, run a flexible campaign and collect the contributions even if you donâ€™t meet the target goal amount.